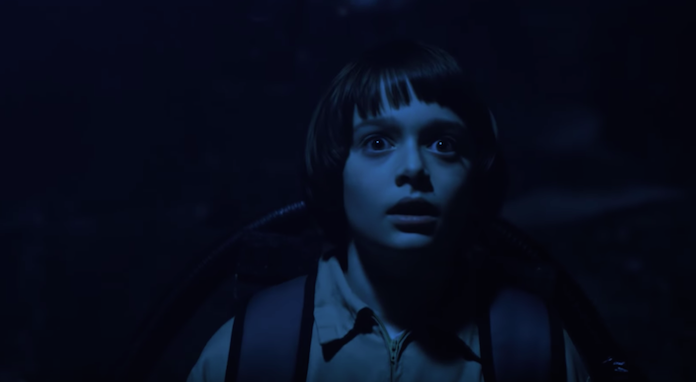 Noah Schnapp spilled the beans to fans about one character’s fate in Season 3. Stranger Things’ fans have learned that one character from Season 1 will die in Season 3, according to a star of the show. Noah Schnapp, who plays Will Byers, attended Stranger Con in Chicago. While there, fans asked him what ever happened to his dog, Chester, who was missing in Season 2. Chester the dog attempted to rescue Will from a Demogorgon in Season 1. The dog and Will also seemed to have some sort of connection, even when he is in the Upside Down. Chester hung around the fort where Will was hiding in the alternate universe. The news surprised the audience, and Schnapp encouraged them to keep the information to themselves, which didn’t work out. Even though Chester won’t appear in Season 3, the cast will contain old favorites, such as Dad Steve Harrington. The release date for Season 3 of Stranger Things has not been announced, but it’s expected to be sometime in 2019. The Emmy-award winning show released its second season last October. The highly anticipated third season apparently began filming in the spring. Season 2 saw huge success with fans, including 15.8 million viewers who watched the first episode of the sophomore season within the first three days of release. Also, 361,000 people watched the entire second season within the first 24 hours of it dropping. We can’t even pretend that wasn’t us, and we can confidently say we will probably be doing the exact same thing for Season 3. In the meantime, fans are getting both a book series, a video game and a comic book series based on Stranger Things. Are you shocked to hear about Chester’s fate? Let us know in the comments!